She is one of the most promising sprint talents. Quick out of the block, rapid acceleration and impressive speed. 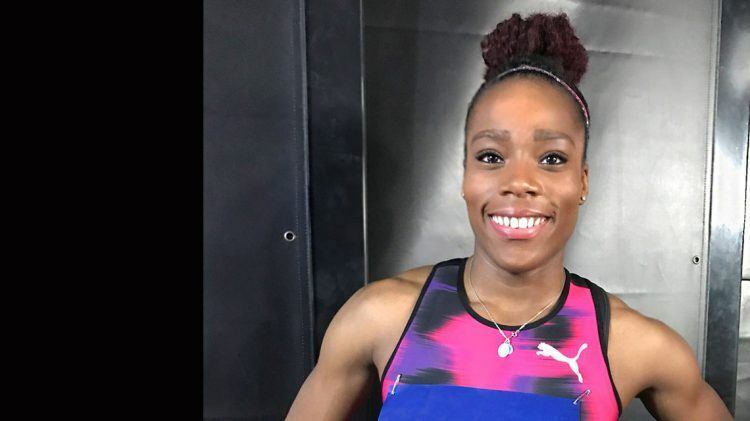 No wonder that we have decided to sponsor the 22-year-old French sprint sensation Stella Akakpo, continuing our commitment with up and coming athletes and truly keeping our “Forever Faster” mission on track. Stella won a Gold Medal at the 2013 European Junior Championships’ 100m competition as well as a Silver Medal with the French 4x100m relay team at the 2014 European Championships. She also made her Olympic debut last year in Rio, competing in the 4x400m relay. Stella is a fantastic addition to our roster of young, promising talents and we are very happy to welcome her to the PUMA family. We have been watching her career very closely for quite a while now and are convinced that she will ​​continue her success story! 2017 has already started with an exclamation mark for Stella as she ran 7.16 seconds for 60m – currently the 5th fastest time of 2017 at indoor competitions. We can’t wait to see one of the most talented Track and Field athletes in Europe rise to the top in our PUMA gear!